Autumn Cove at Lake Wylie might just have everything you have been searching for in a community. With competitively priced homes in a beautiful neighborhood and plenty of waterfront options, Autumn Cove also offers an easy commute to Charlotte, Gastonia or Rock Hill. The neighborhood features relatively new construction homes generously sized with an average price point of approximately $228,000. 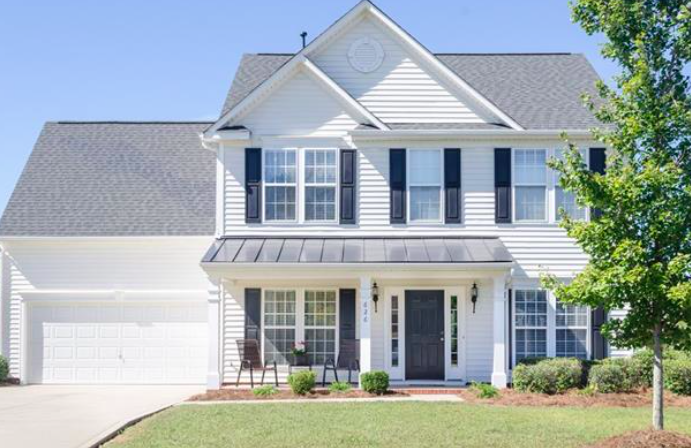 Because Autumn Cove is located in the charming town of Clover in York County, residents can take advantage of South Carolina’s low taxes as well as the fantastic and desirable Clover school district, making this neighborhood great for families. We are looking at a seller’s market in Autumn Cove, with six homes currently on the market representing 3.1 months of inventory. 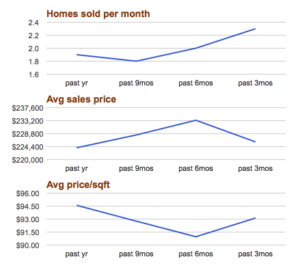 This is lower than the inventory in Lake Wylie and York County overall, which have 5.1 months of inventory and 5.3 months of inventory respectively. 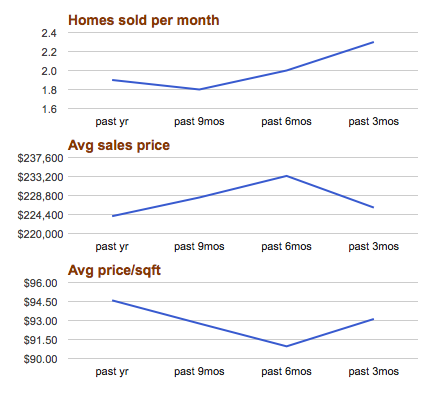 The market here is stable with very little fluctuation in the number of homes sold per month, in the average sales price of homes, or in the average price per square foot. The average price per square foot has hovered around $94 for the past year, with an average sales price not straying far from $224,000, and approximately two homes selling per month. Autumn Cove at Lake Wylie is a great neighborhood with plenty to offer and perhaps has everything you’ve been looking for. Plus, Clover offers a small town feel with big city conveniences and easy access to fantastic shopping, dining and entertainment.